INTRODUCING our young herd sire, three year old, COUNTRY MUSIC'S SONNY JAMES. Sonny James is a dark brown, 27" at age three. Watch our web site for photos...www.minidonk.comCountry Music's George Jones is a National Champion at Halter. (30"dark brown.) His son, Country Music's Garth Brooks (30"dark brown) is also the sire of many Champions at Halter and Performance. Their offspring have been purchased by breeders throughout the U.S., Canada, Europe, Costa Rica and New Zealand. Like their sires, they are known for their lovely heads and quiet dispositions. INTRODUCING our young herd sire, three year old, COUNTRY MUSIC'S SONNY JAMES. Sonny James is dark brown, 27" at age three. Breeders have purchased and showed our bloodline throughout the U.S., Canada, Europe, and New Zealand with tremendous success. having won over 26 World Championships at Halter and Performance. Brown/Black, 19” at birth. 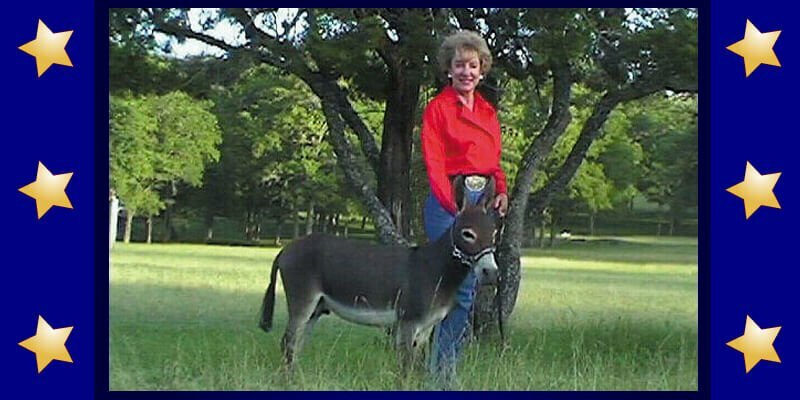 This beautiful jennet foal is sired by our Country Music’s Garth Brooks. He has sired innumerable Champions at Halter. (check our website on them). 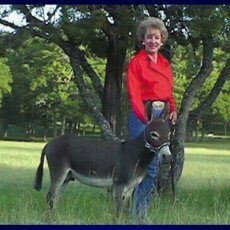 Kimmie’s grandsire is our Country Music’s George Jones, National Champion at Halter. Kimmie’s dam is Country Music’s Tammy Cockran. 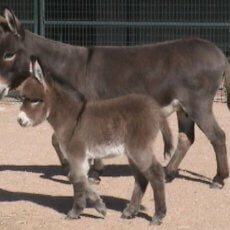 Her four generation pedigree is filled with outstanding donkeys: Somedays Cadillac Jack,Somedays Papa’s Money, Somedays Cinderella, ZMoBetta, Little Motown, and many more. She is in the process of being imprinted at this time. 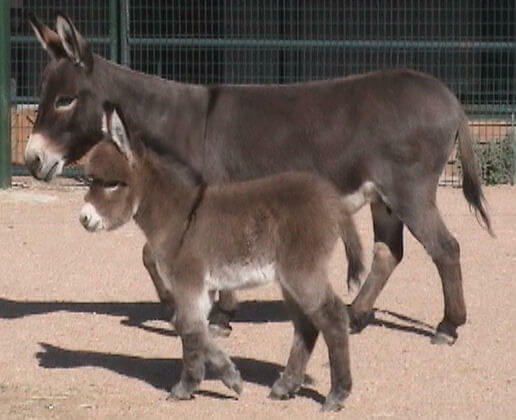 See http://www.minidonk.com to see this amazing jennet foal maneuvering the obstacle course at TWO WEEKS OLD! We welcome your visit to see her.